I’m a huge fan of The Avengers (the comic book team). Always have been. 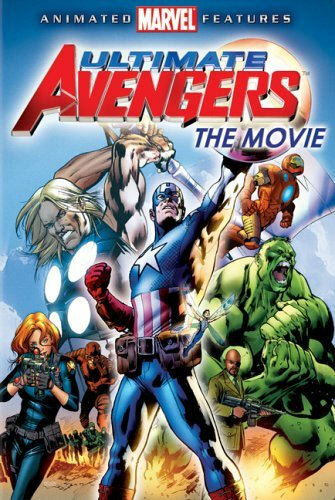 If you don’t know, The Avengers were assembled from Marvel’s B-list of heroes in an attempt to create some buzz for them. The roster has changed over the decades, but the bigger names have tended to be Ironman, Thor, Captain America, the Incredible Hulk, Antman/Giantman and the Wasp. Other members have included Hawkeye, the Vision, the Black Widow, the Scarlet Witch, Wonderman, Tigra and the Black Panther. Even Wolverine and Spider-man have made appearances in the past. Whatever. It doesn’t matter. There’s a live action movie due out in a year or two, which I am totally excited for. However, I am always more of a fan of animated superhero shenanigans than I am of live action films. Currently, there’s a great Avengers cartoon out called “Avengers: Earth’s Mightiest Heroes”. As a kid, waiting for the theme music was the best part of watching the show. This was the era before downloadable music and even before ubiquitous cassette tapes and home recording equipment! I remember actually writing down, in musical notation, the hooks from my favourite TV theme songs, just so I’d remember them when it came time for humming!